Capstone Medical Group (Lithonia) - Book Appointment Online! 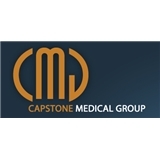 Capstone Medical Group is an Internal Medicine medical practice dedicated to serving the healthcare needs of the Hillandale area of DeKalb County, and Tucker and Decatur, Georgia areas as well. Dr. Clyde Watkins and staff warmly welcome you to our practice. Our office is open Monday through Friday, 8:00 a.m. to 4:30 p.m. Our practice is located at the Dekalb Medical Center at Hillandale and at Winn Medical Center in Decatur, Georgia. We are accepting new patients. My visit with Candace was good. I had to have Xrays and called to office for results and her office clerk was not as attentive to my issue as I would have expected. I asked to have Candace call me back that afternoon and I am still waiting for those results. I was told to call the facility and ask them to send doctors office the results. Why am I doing office clerks job? Candace is very professional...however, staff need a customer service course. Very attentive. Took time to listen to my concerns. I wouldn’t see anyone but him. I trust him with my health completely.